Join the Conversation! Visit the Really Good Teachers Forum! of the latest activity on Really Good Teachers. Forgot Your Display Name Or Password? Teaching brings with it some laughable moments and our Really Good Teachers have no shortage of funny stories. So, sit back and enjoy a good laugh while reading stories that only teachers can truly appreciate. Join or Log In to share this article. Join or Log In to report. 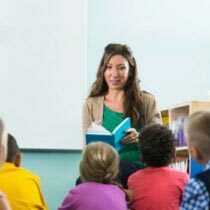 Speech-Language Pathologists: How Can You Work With One In A School Setting? © 2019 Really Good Stuff, Inc. All Rights Reserved. Thank You For Signing Up For The Weekly Recap! You will begin receiving your weekly emails soon. Would you also like to receive promotional emails from Really Good Stuff® featuring their newest products and special offers? By providing this information, you are opting to receive emails, from Really Good Stuff® with promotions and message tailored to your interests. You may unsubscribe at any time.